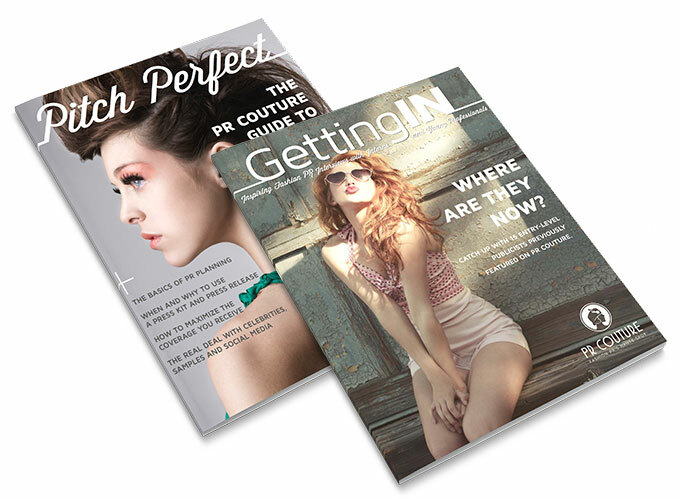 When it comes to fashion public relations, PR Couture is the place to go. To coincide with the launch of a brand new website, I helped head PR maven, Crosby Noricks, rework a couple of her publications – Pitch Perfect and Getting In. Aimed at helping entry-level PR professionals and fashion designers increase press coverage, both were designed to look and feel like fashion magazines, with edgy, high-fashion photography, eye-catching media quotes and bonus “how to” interviews with popular industry professionals.